I surrender to the Divine Mother. Lucy Roberts inspired me during our first workshop together. Her strong, grounded practice came from a calm place. When I heard she was coming to Namaste Bahrain for a second workshop, I immediately signed up to experience the Divine Shakti she invoked during class. I asked if she could share a bit more about her yoga practice with me. We spent an hour talking together after class. Many Shakti devotees live in south India. Shakti is the Divine Feminine force, the primordial Energy, from which all life is created. Shiva is her consort, the male energy which sparks her creativity. My Hindi is non-existent, but I assumed Lucy’s Amma, meaning an embodiment of the Divine mother, was a woman. I was curious what she taught about love. The first thing Lucy did was correct me about Sri Sakthi Narayani Amma. “You know Amma, the hugging saint?” she asked me, her Australian accent adding an r and making it sound, to my ear, like Ammar. I nodded yes as I was familiar with the well-known Indian, female saint, or swamini, who had been born in Kerala. It is estimated she has hugged 32 million people, literally enveloping them in love. 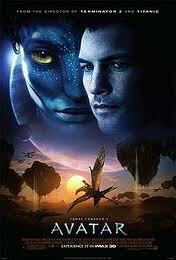 The movie Avatar is James Cameron’s Hollywood interpretation of the Indian concept of a mind inhabiting a specially created body. Within the Vedic traditions, Avatars are embodiments of the Divine Mind who manifest periodically on earth to help us. It is said that several centuries ago, in the area around the village Thirumalaikodi, sages and saints prayed intensely to the Divine Mother to protect all of creation during this Kaliyuga, the dark age of greed and ignorance. Because of their penance, the Divine Mother came to earth as Narayani Amma in 1976. I must have been looking at Lucy strangely. She nodded her head. It was only recently while reading David Frawley that I began to understand the Hindu concept of God’s infinite manifestations. Frawley wrote that Westerners’ view of Eastern yoga, Hinduism and Buddhism being polytheistic is not true. These Eastern practices believe there is only One Reality which, being all powerful and creative, has the ability to manifest in an infinite number of ways. The result is a pluralistic view of God and allows for hundreds of thousands of ways to worship the Divine. 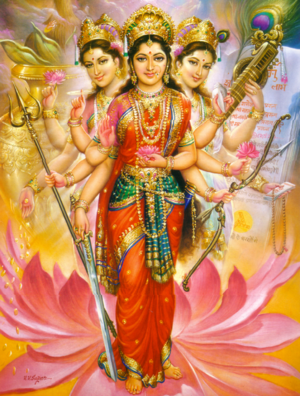 Lucy explained how she witnessed the Goddess’ presence in India. She sighed. Her family had probably asked her the same question. Within yoga tradition, there are numerous paths one can take to reach enlightenment called Samadhi. My yoga teacher practiced Bhakti yoga, or service yoga, which in my mind meant “to be of service” such as running a soup kitchen. Lucy clarified how she practiced bhakti yoga. “How has meeting Amma affected your yoga practice?” I asked referring to her Hatha teachings. “Lucy, you keep teaching asana. People like it. It’s like a sugar coating. Give them what they like, but inside of that you share wisdom and love”. If you would like to keep up with the tales of this yogini with the expanding heart, you can read her blog at www.lucyroberts.com. That is so FANTASTIC. Have you had any interesting insights or experiences being around Amma? Thank you for responding. What a small world. Maybe you’ll meet Lucy one day. Have you met Lucy? She is also friends with Jo and Edo? I am so curious about the experience and what it does to people. It is such a different concept of spirituality than we are accustomed to in the West. We did meet Lucy but there were so many people at the ashram at the time she might not remember 🙂 The first time I entered the temple at Peedam and saw Amma I sighed and felt at home. I have been travelling to India for many years though and maybe that helps you to be open more easily to spiritual experiences?